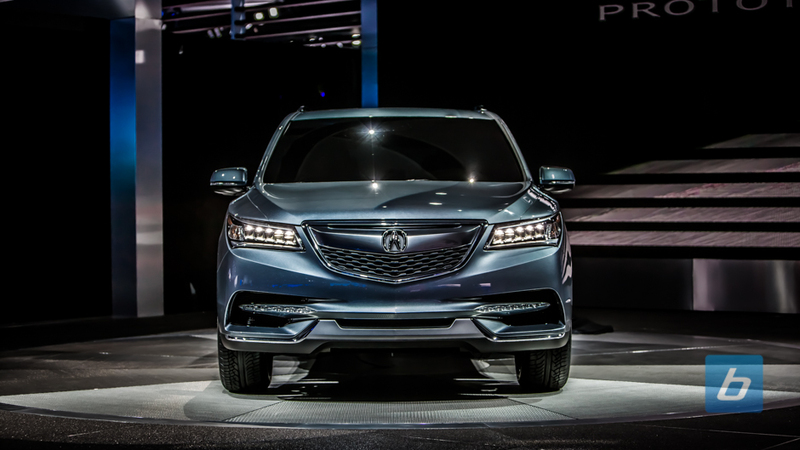 Acura pulled the covers off of its MDX prototype today here in Detroit and the front end definitely does not stray too far from the Acura design language. 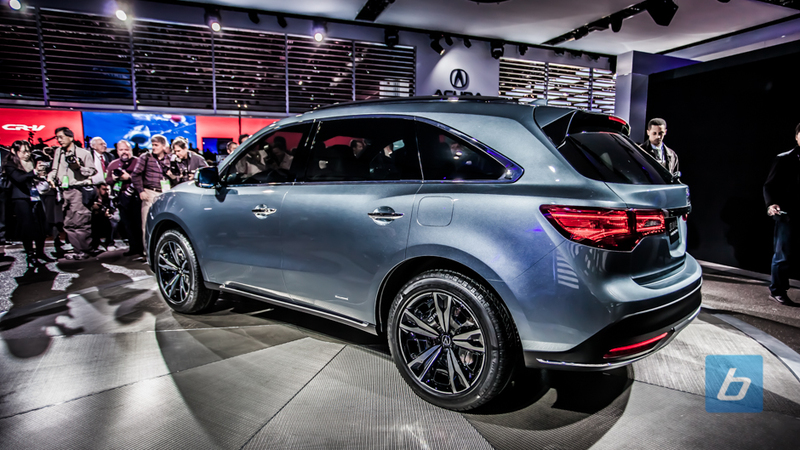 Much like when the RLX prototypes were shown off at auto shows, this MDX prototype looks quite close to be production ready. 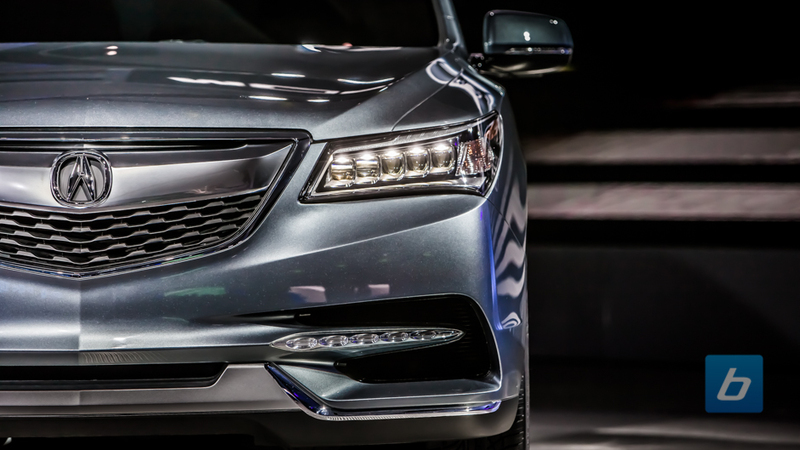 On the outside it looks like the headlights are borrowed from the RLX Sedan, its shape is just slightly changed. 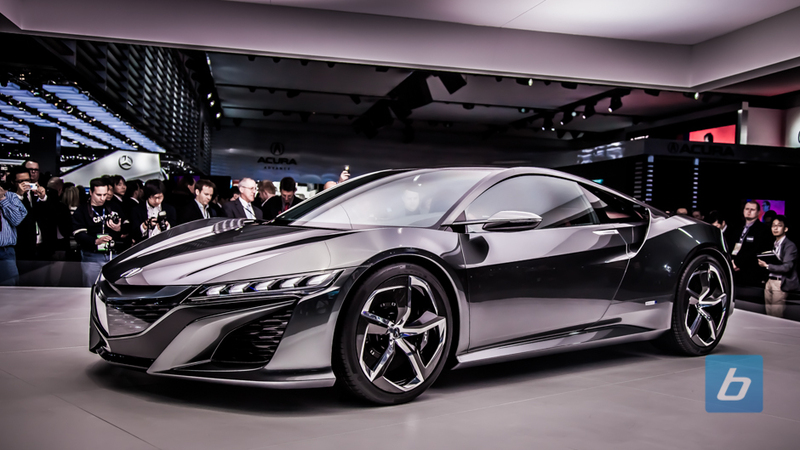 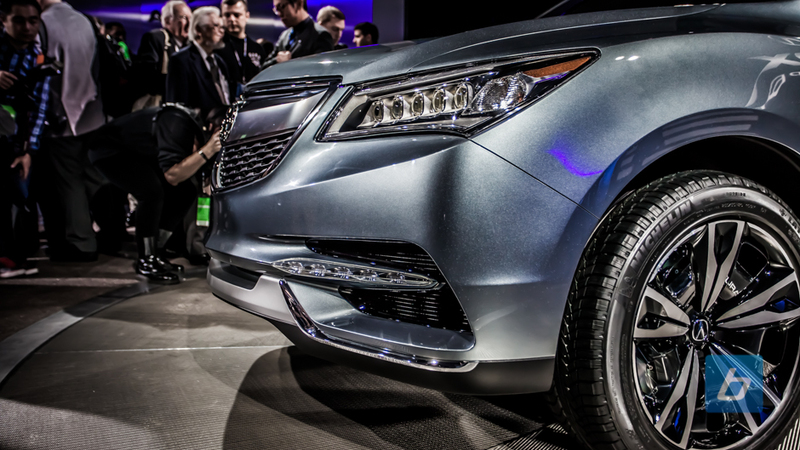 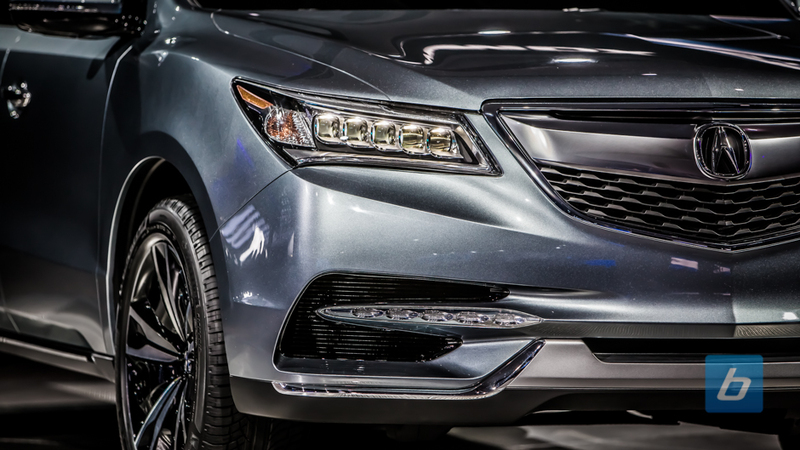 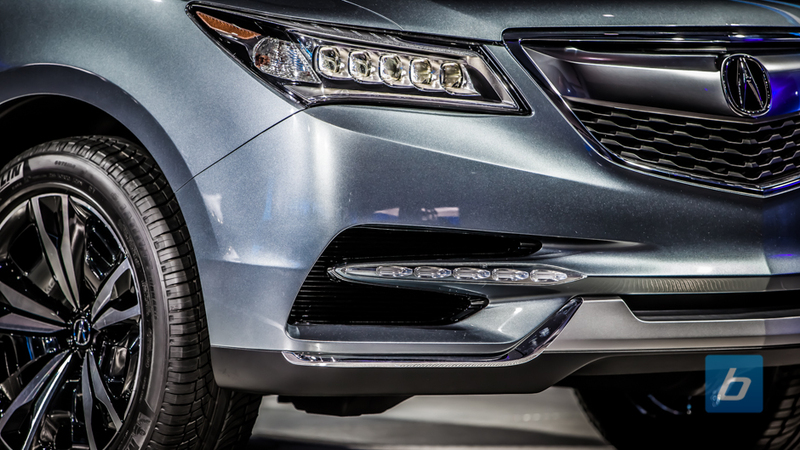 The acura shield grill is present and quite frankly, it works on a vehicle like this. 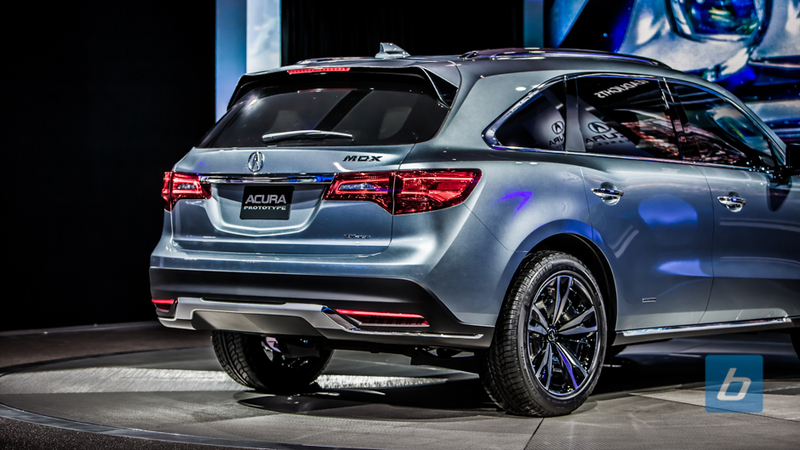 It just doesn’t work if its not on an SUV. 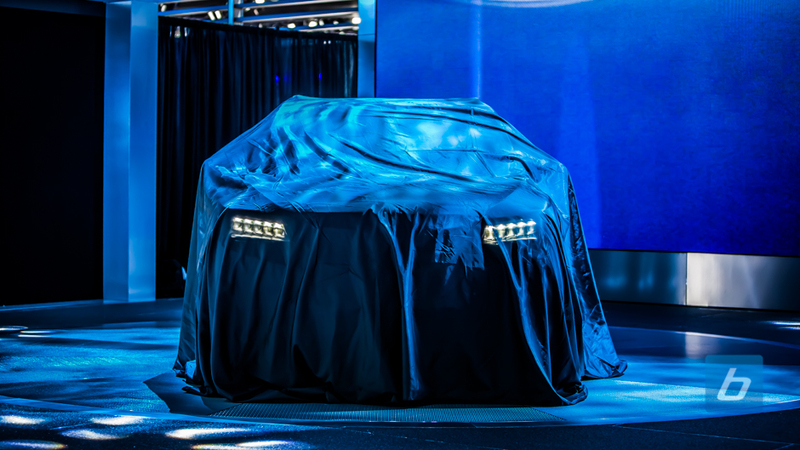 The foglights replicate the look of the headlights, but this will likely be changed on the production version when it comes out. 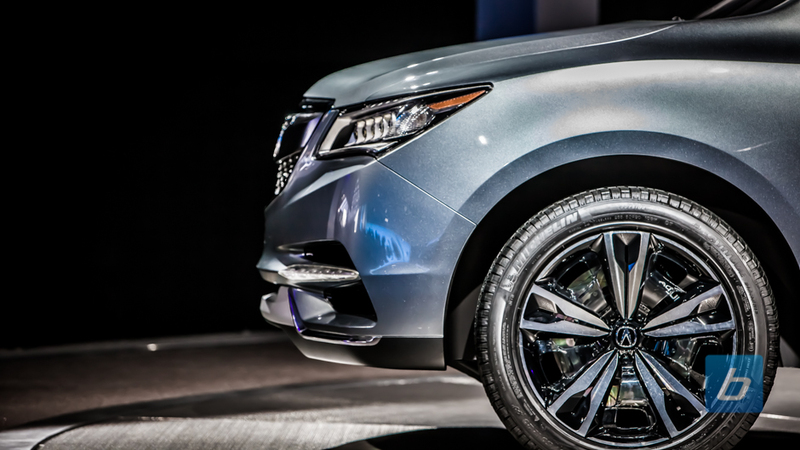 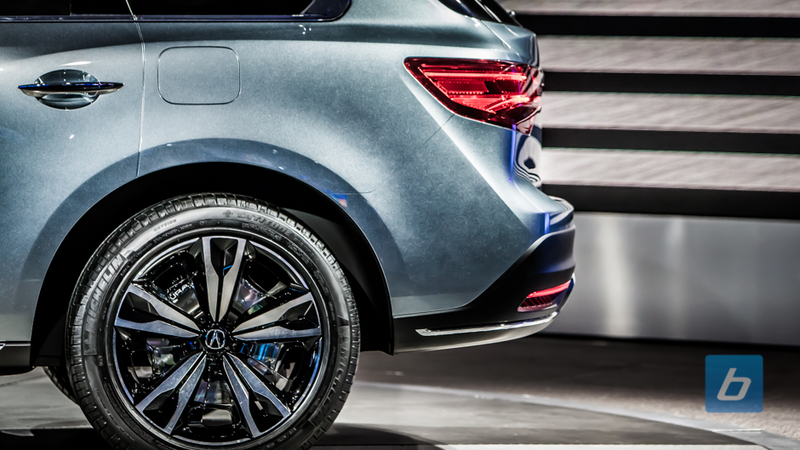 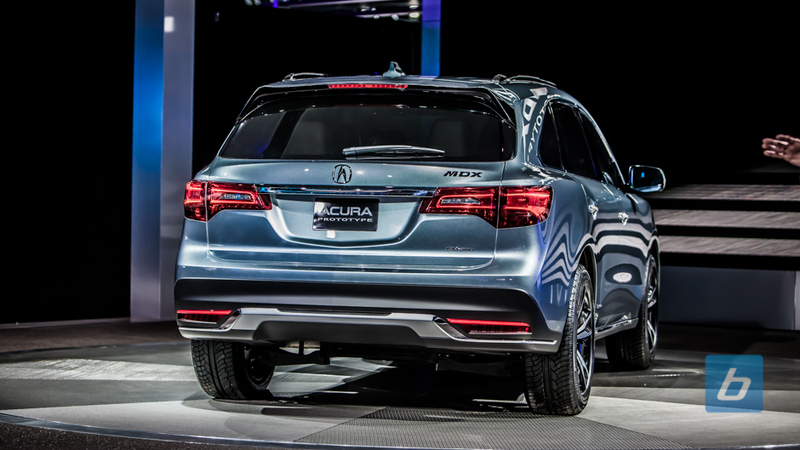 For the next generation MDX, Acura will be offering for the first time ever a two wheel drive model–presumably the front wheels. 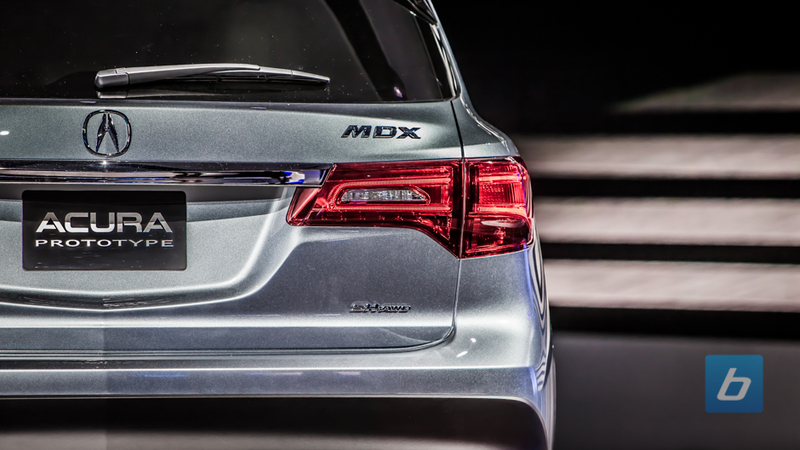 The next generation MDX will still be built in North America but will move from Canada to Acura’s new assembly plant in Alabama. 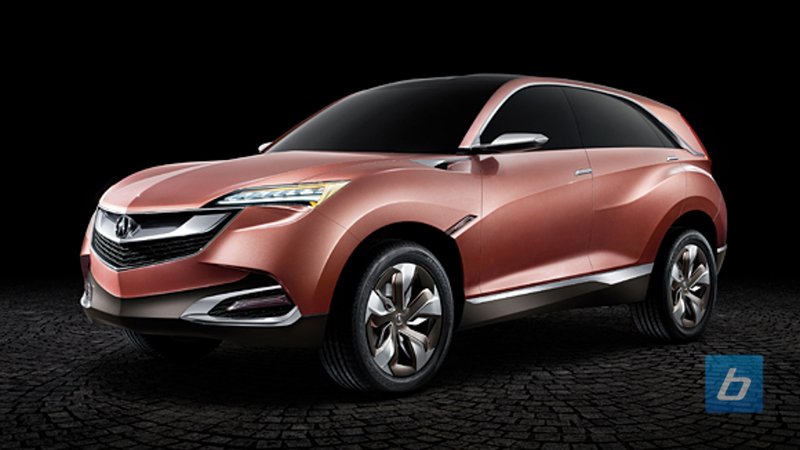 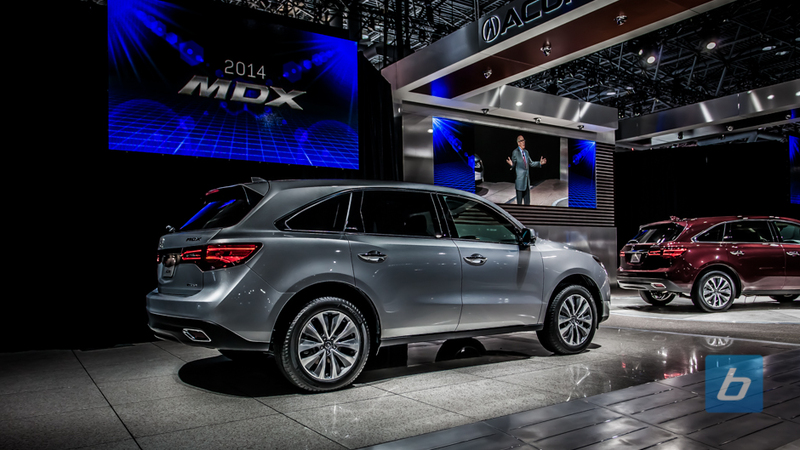 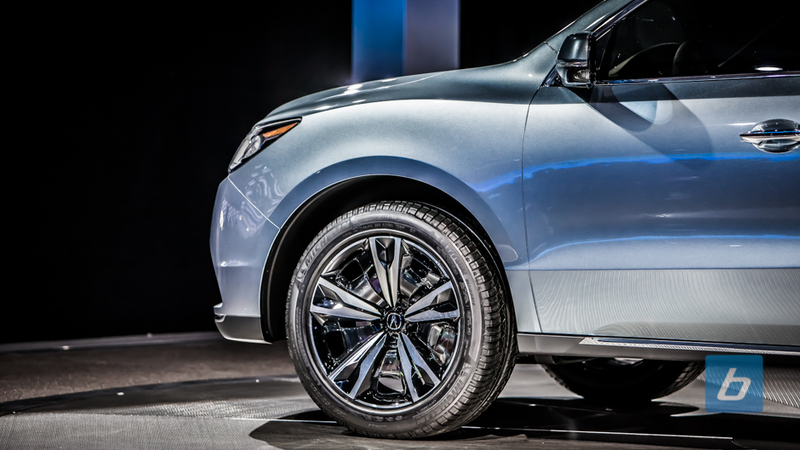 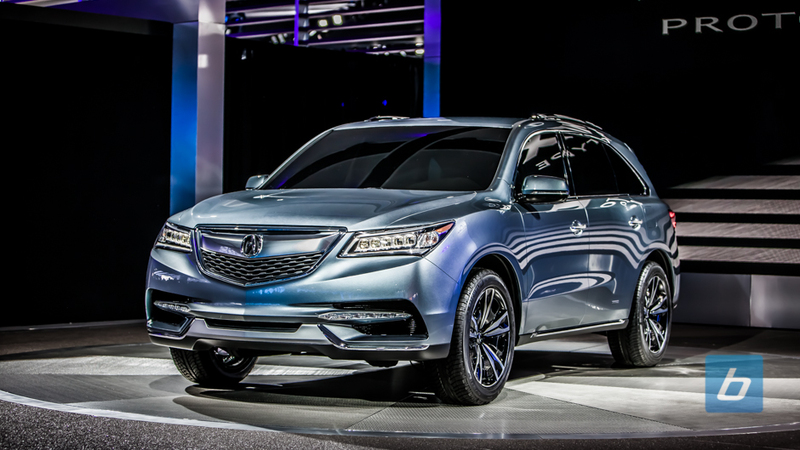 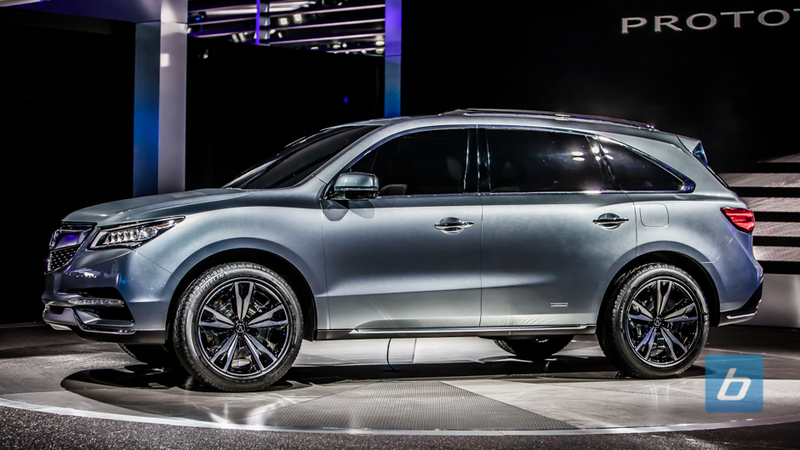 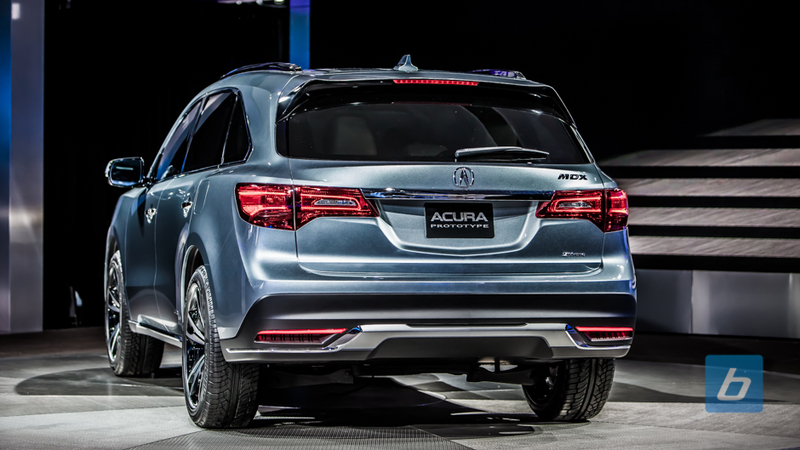 Acura also plans on shifting 100% of MDX production to America, up from the current 97%.